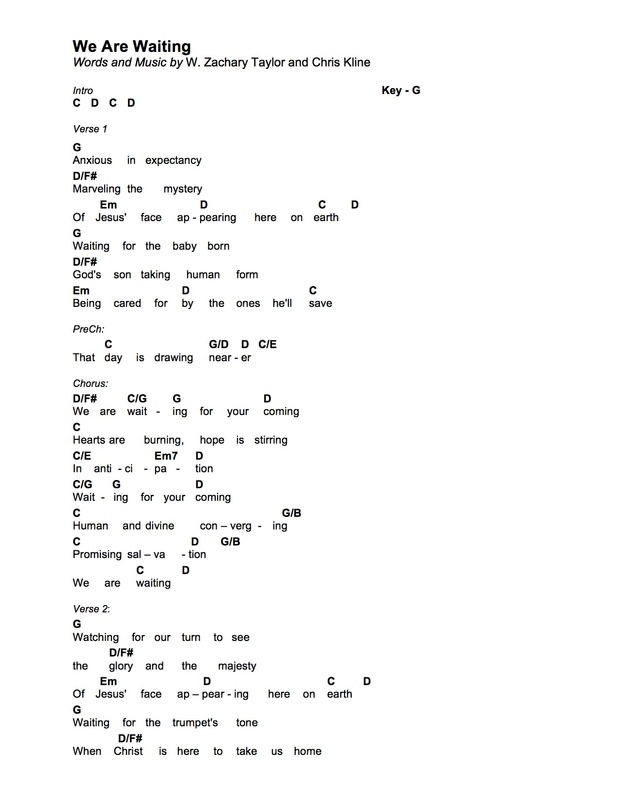 CCLI Song #7013190 – Please report usage to CCLI for resources to become available on SongSelect! 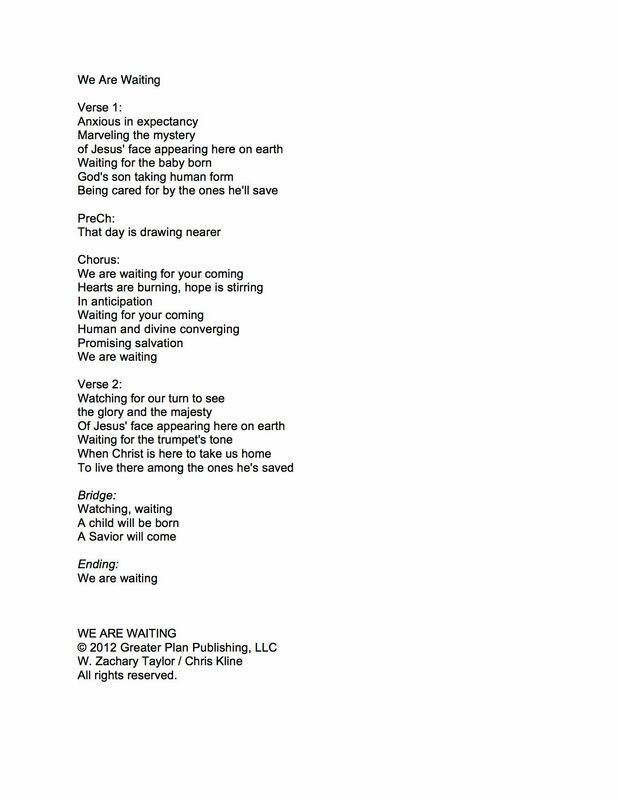 We Are Waiting is a versatile worship song for the Advent Season, bringing to light the waiting, excitement, anticipation, and hope that we experience in Advent. 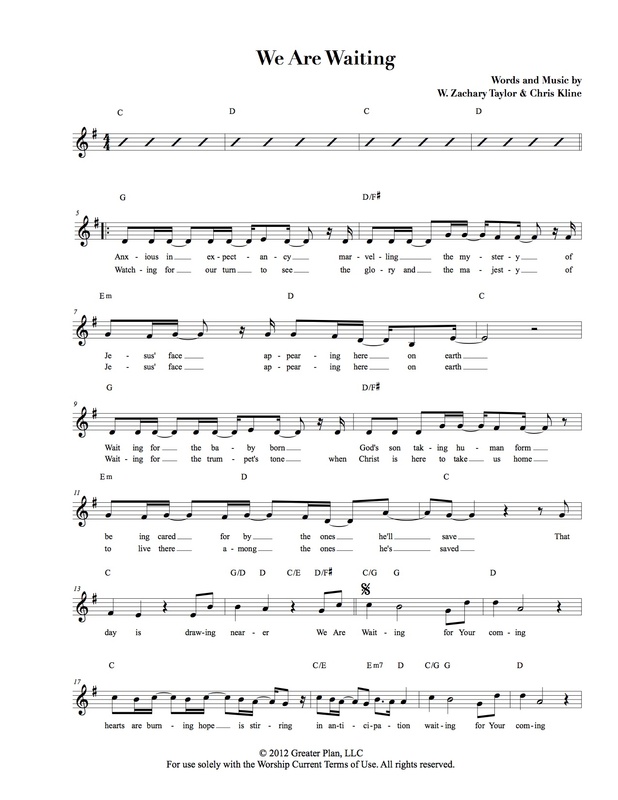 Use as a stand-alone piece for either your worship team or choir, or incorporate your full band, choir, organ, and children. 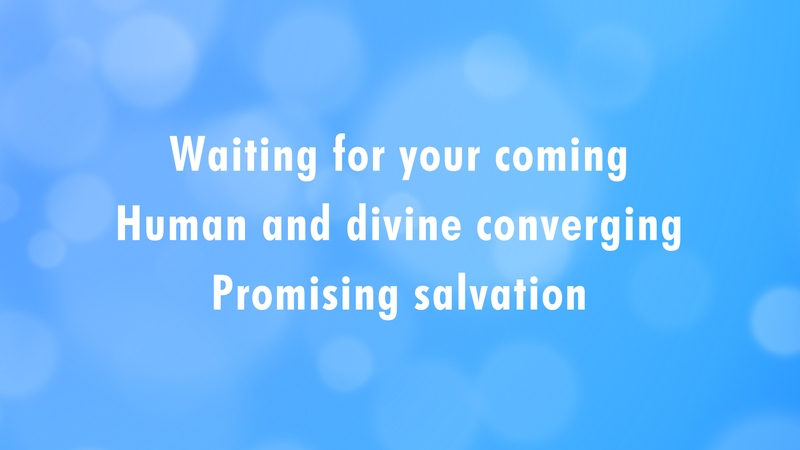 Excellent as a simple, understated song or elaborate, church-wide anthem! 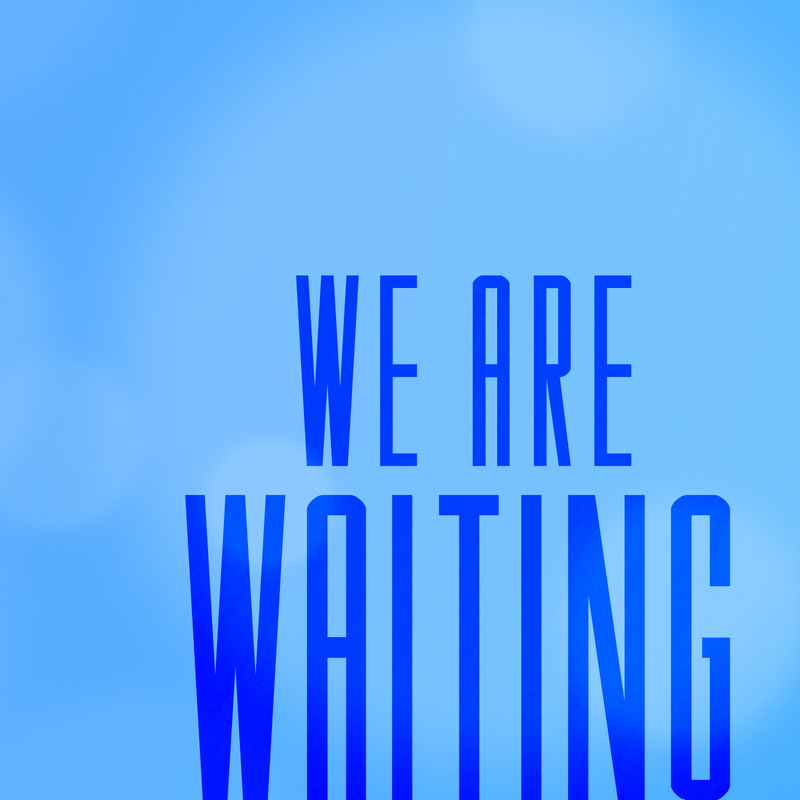 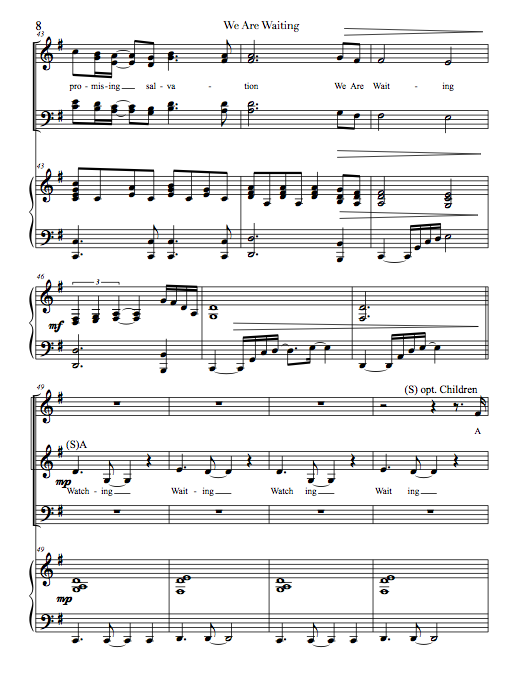 Download the recording and chords FREE by signing up for our email updates, and check out the other arrangements and resources to get your community singing We Are Waiting. 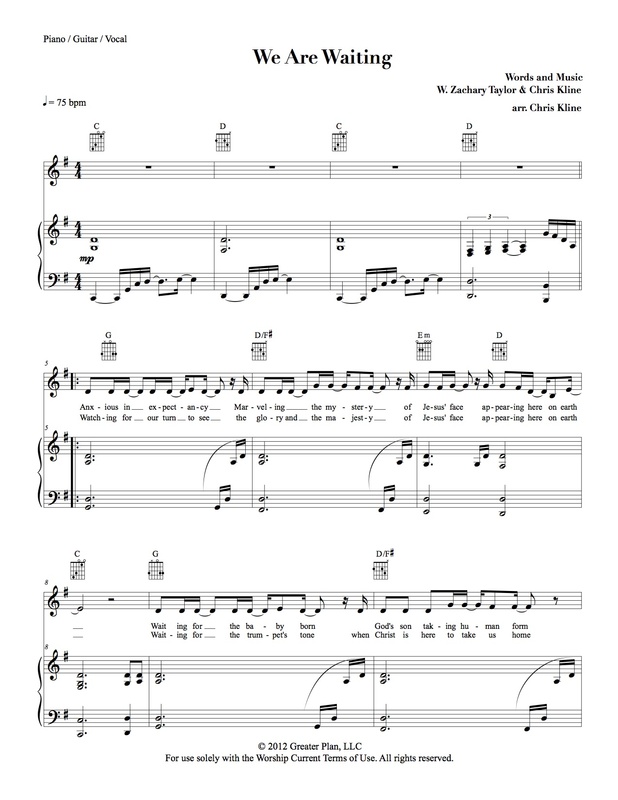 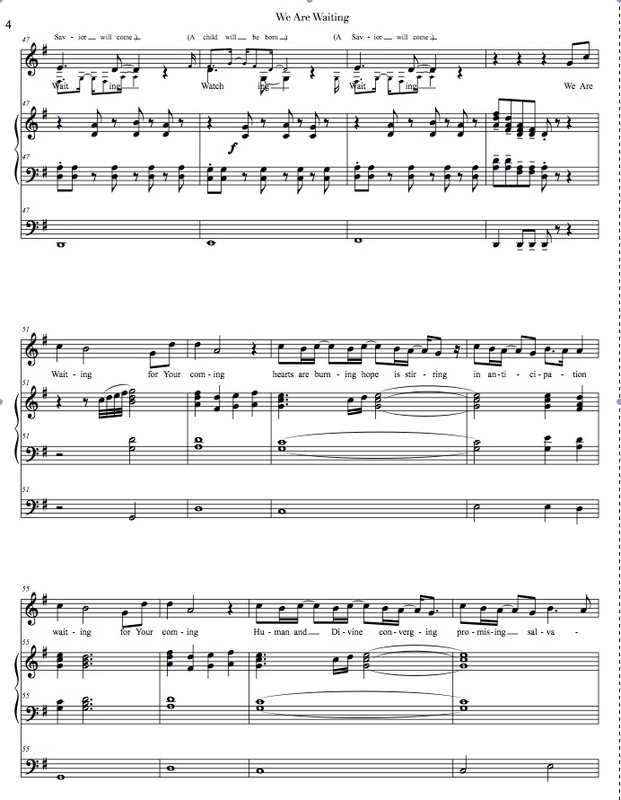 Organ Part (pdf) Compatible w/ Lead Sheet, P/G/V & Choral arr.